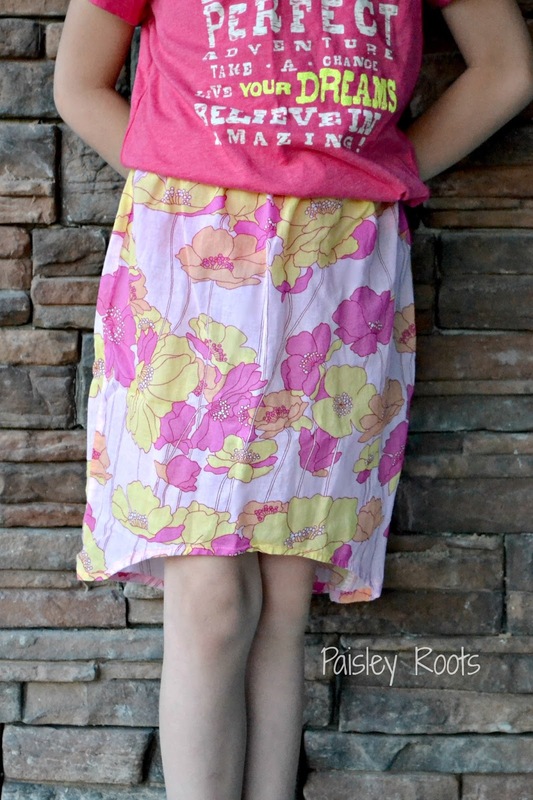 We're showing off the new Cherry Pie Skirt from Pie Pie Designs! 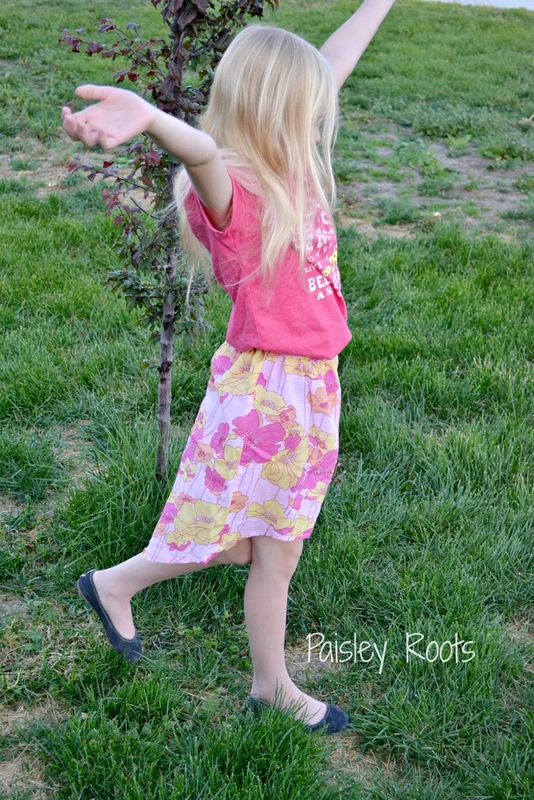 Such an incredibly easy and fun skirt! 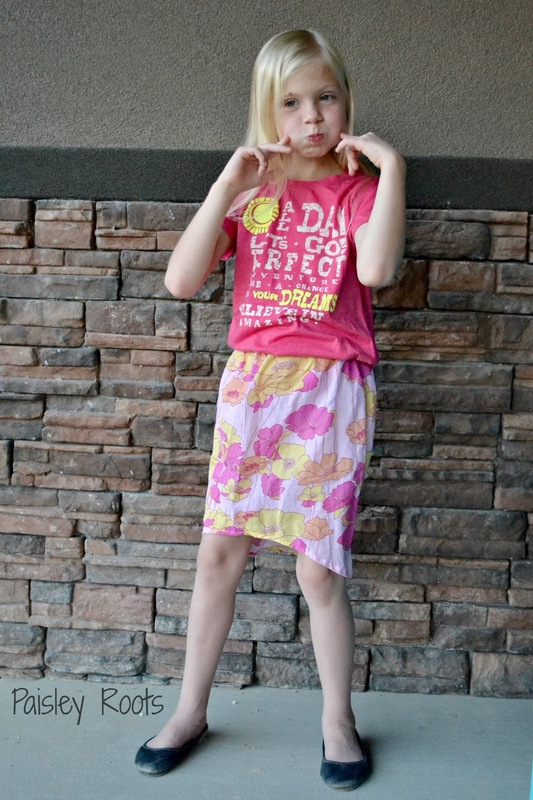 It's a hi-low hem with elastic waist and it comes from size 12m to 12 years! I made 3, one for each of my girls, but yeah.....my two younger monsters were being absolute stinkers and I could not get a good picture of all three of them together! We only got a little bit of silliness from Aevarie. This skirt is super light and breezy for the summer! Aevarie loves skirts and dresses, so this was right up her ally. Did I mention how incredibly fast they are to make? Really, you can make a dozen of these during naptime. You can enter the rafflecopter for your chance to win the pattern, or you can go snag it from PiePie's Etsy store for $5 until the 28th. Try not to get carried away with this sweet skirt! Great skirt! That fabric looks amazing. Thank you for being a part of the tour!